What are people Torrenting right now? What are people pirating right now and what does it "look" like? 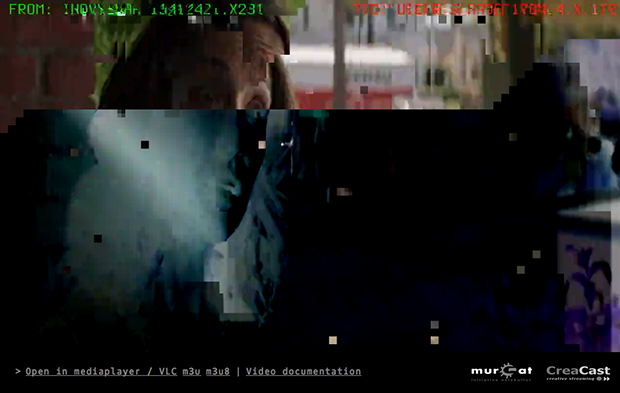 The Pirate Cinema, an art project by Nicolas Maigret, uses torrent trackers to grab bits of torrents and displays small pieces in a random order in a video stream, providing a surreal vision of media consumed around the globe. The bits also contain the location of the torrent’s seeder (source) and leecher (destination) with some of the IP address which is partially censored to protect the identity of the seeder and leecher.